We are the leading Chinese company who have specialised in the design and manufacture of Hammermills for Feed Machinery and Wood Pellet Plant. The SFSW Series Sieve-free Feed Hammermill combined with air separator or grading sieve into second crushing system that can enhance the efficiency of crushing greatly. It uses 360° metal scaleboard, free of sieve. Even if there are impurities such as iron nails, bolts, the machine won't be damaged. SFSW Series Sieve-free Feed Hammermill is very suitable to pulverize the material that esay to block sieve or very fine material. 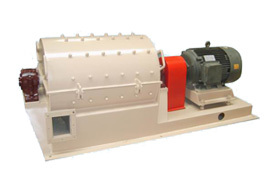 SFSW Series Sieve-free Feed Hammermill save cost and energy consumption that need not to equip negative pressure devices.